Redstoneconnect PLC stock (LSE:REDS) is currently suitable for buyers. Price has been going on since July 2016 till now, and further gains are possible, at least till the end of this year. From April to June, price was declining, reaching a possible yearly bottom in June and going above the upper Trendline. In this month, things have gone bullish and the market is poised to continue going further north. The RSI period 14 also has almost gone above the level 80, showing a strong bullish momentum in the market. There would surely be a pullback along the way, which are supposed to be transient in some cases. As said in the first paragraph, Redstoneconnect PLC would continue to gain till at least, the end of this year. Berkeley Group Holdings shares (LSE:BKG) are set to record further losses this year. Price was very volatile in the months of March to May 2016, and then dropped sharply in June. After that, price consolidated in the context of a downtrend. 4 EMAs are used for this strategy and they are EMAs 10, 20, 50 and 200. The color that stands for each EMA is shown at the top left part of the chart. It can be seen that the trend is down and all the EMAs are sloping downwards as there are volatility in the market. Bulls may make some attempt to push the market up, but as long as it does not go above the EMA 200, price would drop further. This means Berkeley Group would record further losses this year. Price could dip further towards the demand levels at 2400, 2300, and 2200. “Here’s an interesting statement: In terms of price range, we are currently experiencing the tightest volatility contraction since JFK was president. There have been multiple generations of traders who have never seen volatility this tight.” - D. R. Barton, Jr. The USD/JPY consolidated from Monday to Friday, and then broke upwards on Friday. Since price has been consolidating for about two weeks, the breakout on Friday is yet to bring about any dominant bias in the short-term. The bias would turn bullish only after price goes above the supply levels at 103.00 and 103.50. USD/CHF: This pair went upwards 170 pips last week. There are three factors that contributed to this: The USD was strong in its own right on Friday, the CHF was weak against some majors, including the USD, and the EUR/USD plummeted on Friday. As long as these factors are in effect, the USD/CHF would continue going upwards. Otherwise, price would decline. GBP/USD: The Cable went upwards by 200 pips to test the distribution territory at 1.3250; prior to the bearish retracement that was seen on Friday. The bias on the Cable is bullish in the short-term and bearish in the long-term, and price ought to continue going northward so that the short-term bullish can be sustained. GBP pairs would experience high volatility in September. USD/JPY: The USD/JPY consolidated from Monday to Friday, and then broke upwards on Friday. Since price has been consolidating for about two weeks, the breakout on Friday is yet to bring about any dominant bias in the short-term. The bias would turn bullish only after price goes above the supply levels at 103.00 and 103.50. EUR/JPY: This cross has been flat for three weeks; plus the breakout that occurred on August 26, 2016, was not significant enough to bring about any news bias in the short-term. The dominant bias on higher timeframes like daily and weekly charts is bearish, and for the month of September 2016, it is expected that price would be trending lower and lower. The outlook on JPY pairs remains bearish. Therefore, any rally that was seen ought to be taken as an opportunity to sell short. The bias on this pair is precariously bullish. Price came down 120 pips on Friday, in the context of a weak uptrend. A movement below the support line at 1.1100 would result in a clean Bearish Confirmation Pattern in the market, while a movement above the resistance line at 1.1350 would strengthen the ongoing bullish bias on the pair. This week would determine whether things would turn bearish or things would become more bullish in the market. Just as it was prognosticated last week, a short-term weakness of CHF (which was weak versus other majors as well), coupled with a noticeable bullish effort on EURUSD, was able to cause a rally on USDCHF, which rallied 170 pips last week. USD also became strong in its own right, especially on Friday, August 26, 2016. Therefore, USDCHF would continue going up as long as the factors mentioned above continue to favor it, which might cause a Bullish Confirmation Pattern to form in the market; otherwise there would be a serious pullback. GBPUSD is bullish in the short-term and bearish in the long-term. Price went north 200 pips to test the distribution territory at 1.3250, before it experienced a pullback on Friday. However, the short-term bias remains bullish, provided that price does not go below the accumulation territories at 1.3000 and 1.2950. GBP pairs would undergo high volatility in September 2016: in contrast to lower volatility witnessed this month. This currency trading instrument is neutral in the short-term, but bearish in the longer term. The instrument underwent a very tight consolidation between Monday and Thursday, only to break upwards on Friday. The upwards break has not invalidated the neutral bias on the market, unless price goes above the supply levels at 103.00 and 103.50. There is also a possibility of a pullback to the demand levels at 101.00 and 100.50. The outlook on JPY pairs is bearish for the month of September, which means, bears are expected to be the overall winners in the month. EURJPY is neutral in the near term and bearish in the long-term. The cross has been moving sideways for the past three weeks, while the trend on higher timeframes remains bearish. The bullish breakout that occurred on Friday could end up being a false breakout, should price fail to keep on moving north. Since the outlook on JPY pairs remains bearish, a pullback into the demand zone at 113.00 is possible, though strong selling pressures would be needed for the demand zone to be breached to the downside. You may have heard that FX trading is all about combining strong currencies with weak currencies. Well, this is the home truth. In fact, this is what currency trading is all about, and the Currency Strength Meter helps us do this as easily as possible, while you are adequately rewarded. The currency strength meter at LiveCharts gives you a quick visual guide to which currencies are currently strong, and which ones are weak. The meter measures the strength of all Forex cross pairs and applies calculations on them to determine the overall strength for each individual currency. The meter takes readings from every Forex pair over the last 24 hours, and applies calculations to each. It then bundles together each the associated pairs to an individual currency (eg, EURUSD, EURJPY, EURGBP etc) and finds the current strength. There are many ways in which currency strength information is displayed (like figures display, bars displays, etc. ), but LiveCharts makes uses of rectangular bars. The strongest currency would display six rectangular bars on top of it. The weakest currency would display only one rectangular bar on top of it. The second strongest currency would display five rectangular bars on top of it. The second weakest currency would display two rectangular bars on top of it. The uppermost rectangular bar on top of the strongest currency is green, while the only rectangular bar above the weakest currency is red. Looking at the CSM, the best thing to do is to combine the strongest currency with the weakest currency for the best result. Sometimes, we may combine the strongest currency with the second weakest currency (or the second strongest currency to the weakest currency). In a given day, all currencies with four or three bars on top of them would be avoided. And combination of one second weakest currency with another second weakest currency. Would Koovs Go Up Again? The ADX period 14 is below the level 20, while the DM+ remains above the DM-. This means that the indicator still gives a bullish signal, which is not currently strong. The MACD, default parameters, has its signal lines above the zero line, while its histogram is already below the zero line (even the signal lines are sloping downwards). What does this mean? It means that while the bullish signal is in place, the MACD and the ADX are giving mixed signals: weak momentum coupled with increased bearish activity. Should the MACD signal lines cross the zero line to the downside, and the ADX DM+ crosses the ADX DM- to the downside, there would be a “sell” signal. Should anything happen on Koovs contrary to what is explained in the preceding paragraph, the Bullish Confirmation Pattern in the chart would become clearer. Global Energy Development stock (LSE:GED) has started going upwards, and this has led to a bullish signal in the chart, which would hold out for the next several months. From March till the end of July 2016, price was coming down, but things have changed right now. Price is above the EMA 21 and the Williams’ % Range period 20 is in the overbought region; which means the best action to take now is to go long. There would be some short-term pauses or pullbacks along the way, but GED should go beyond the supply levels at 30.0, 35.0, and 40.0. The USD/CHF plunged into the support level at 0.9550 last week, closing above the support level. There is a Bearish Confirmation Pattern in the chart, and further downwards plunge could happen this week. However, a possible weakness in CHF, coupled with a possible weakness in the EUR/USD, might aid a significant rally in USD/CHF. EURUSD went upwards 200 pips last week, testing the resistance line at 1.1350 before the current shallow retracement. Price may be able to target the resistance lines at 1.1400 and 1.1450 this week, but bulls might encounter some challenges doing this. There is a possibility of a pullback, which might bring another opportunity to go long at a lower price or bring an end to the current bullish outlook on the market. USDCHF went in the opposite direction to EURUSD, moving briefly below the support level at 0.9550, and then closing at 0.9600 on Friday. There is a Bearish Confirmation Pattern in the market, which means it may continue trending downwards, on the condition that EURUSD would continue trending upwards; otherwise a rally would ensue. A show of weakness in EURUSD and CHF (for CHF could experience some weakness against the majors this week) would help to bring about a rally in USDCHF. GBPUSD went upwards from Tuesday to Friday last week, pulling back by over 130 pips on Friday, and closing above the accumulation territory at 1.3050. The bearish outlook remains in place, unless price goes upwards by at least, another 300 pips from the current location. Without this condition being fulfilled, GBPUSD might experience a further pullback, which might possibly be aided by a bearish movement on GBPCAD (since CAD would rally against other pairs this week). GBPCAD and GBPUSD sometimes get positively correlated. At times, it is helpful to know how conditions surrounding other pairs and crosses affect the instrument we focus on. This pair declined 170 pips on August 15 and 16, and then moved sideways for the rest of the week, all in the context of a downtrend. The outlook on the pair, plus other JPY pairs, continues to be bearish (though CADJPY could rally when CAD gains stamina). This week, the demand levels at 100.00, 99.50 and 99.00 might be tested. The demand levels at 100.00 and 99.50 were tested last week, but price could not stay below them. This cross has been consolidating for the last two weeks; an event which has brought about a neutral bias in the near term (although the bias is bearish in the long-term). Further sideways movement would continue to emphasize the neutral bias, until there is a breakout this week or next, which would most probably favor bears, as price goes towards the demand zones at 112.50, 112.00 and, especially 111.50. Tom took a Master’s degree in agribusiness and worked as a meat packer in Ohio. He’d already taken a few trading-related courses at graduate school, based on a friend’s advice, he moved to Chicago. Being a trader and investor, Tom founded the Baldwin Group of companies. He traded the 30-year bond, and he’s recognized as a force to reckon with. He currently serves as Chairman of Baldwin Group Ltd., the parent company of several investment and financial services. Companies in the group include: Baldwin Commodities Corp., a Treasury Bond Futures proprietary trading company, and Baldwin Managed Futures, a CTA. Tom’s career as a trader was a profitable one. Wikipedia say he is also the current owner of Granot Loma, the great American castle on the southern shore of Lake Superior in Marquette County, Michigan. He was inducted into the Futures Hall of Fame in 2009, which was instituted in the year 2005 to honor exceptional contributions to the global futures and options community. 1. Tom followed this trend. Period. 2. Trading is a lot of hard work, for one. It’s perseverance. You have to love to do it. Also, in your business, you have to have a total disregard for money. You can’t trade for money. You shouldn’t make money your number one goal in trading. 3. As far as trading is concerned, patience is a virtue. Some people trade too much. They just enter the markets at random and trade anything that moves. So they’ll be forcing trades rather than waiting patiently for their setups to form. Patience is an important trait many people don’t have. Tom believes that patience has been the most difficult thing for him to work on. Although he’s made great strides in the past two years, he still catches himself worrying that the next bull market is going to take off without him. He expects to continue to improve in this area as he continues to gain more experience. 4. Education doesn’t necessarily make you a great trader. Some newbies think the more they know, the better it is. But being smarter can also mean being dumber. More knowledge could make your trading results worse, because what you need to be profitable are simple principles. Many great traders believe that there isn’t anything special about them. They just show up to work everyday and study their asses off. 5. Tom said trading is like any other job. You work hard, put in the time and effort, and make your own luck. 6. For a successful trader, the ego has been put under control. They find it very easy to cut their losses. You don’t need to be self-confident that all trades must go in your favor. Tom has come a long way with this as well, of course, with having a few big winners under his belt would really aid his psychology. This article is ended with the quote below. Americans live in one of the richest countries in the world. But — except for the likes of a still-smiling, still-crooning Tony Bennett who turned 90 this week — they are unhappier than before the Great Recession. The U.S. ranked as the 13th happiest country in the world, according to the latest World Happiness Report (with Denmark ranking No. 1). So why are they unhappy? “We need to look at why we are unhappy,” says Sri Sri Ravi Shankar, founder of the Art of Living spiritual movement and, most recently, a free app to track your happiness. Shankar, who lives in Bangalore, India, and is one of the most high-profile spiritual leaders in India, says unhappy people often need direction. “Usually, it’s lack of energy in body and mind,” he says. Our consumer culture doesn’t help. “When people are fed up with their routine, and life seems to have no aim and meaning, then people do get depressed, despite having so many physical comforts,” he says. “Money is a little like health, you don’t want to talk about it with your friends because there’s a little bit of shame around it,” says Andrew Meadows, a San Francisco-based producer of “Broken Eggs,” a documentary about retirement, and vice president of brand and culture at Ubiquity Retirement + Savings. There’s been some backlash online to the previously accepted notion that Americans are eternally optimistic, especially in this election season. This grouchy video mash-up of “It’s a Wonderful Life” and Pharrell Williams’ “Happy” has clocked up more than 260,000 views. But there’s a lot you can do to turn your frown upside down. Acquiring a more positive outlook does take work, says Jackie Ruka, founder of Get Happy Zone, a professional development organization. “Savor ordinary events, avoid comparisons, keep a gratitude journal, have meaningful goals, exercise and put money low on the list,” she says. “Engage in some social service activity,” Shankar adds. Indeed, Americans are generous when it comes to helping the less fortunate: 65% of Americans volunteered their time in 2013, a survey by Gallup found, up from 59% in 2004. Computers help us escape from our emotions, studies suggest. Sixth grade children who spent five days at a summer camp without technology had significantly improved emotional cognition — recognizing different emotions on others — than those who spent 4.5 hours a day at home texting, watching TV and gaming, according to a new study of 100 kids by researchers at UCLA and published in the latest edition of the journal Computers in Human Behavior. Understanding emotion is a critical skill, especially for young children, says Yalda Uhls, co-author and senior researcher at the Children’s Digital Media Center at UCLA. “It’s been linked to positive academic and social outcomes,” she says. Did your dry cleaner sigh (loudly) when he set eyes on your mound of dirty laundry last night? Did another driver cut you off on your way to work this morning? There could be a reason why: Almost half of Americans said they’d experienced a major stressful event in the last year, according to a survey of 2,500 adults by National Public Radio, the non-profit Robert Wood Johnson Foundation and Harvard School of Public Health. Young adults were more overwhelmed by responsibilities while older adults cited health problems, but both suffer almost equal amounts of stress. People often respond by sleeping less, eating less and exercising less. “Meditation and breathing exercises can help eliminate stress and renew enthusiasm,” Shankar says. The way movie stars lived 40 years ago — except, perhaps, Elizabeth Taylor and Richard Burton in their heyday — pales in comparison with the lifestyles of Internet billionaires today, says Dean Baker, a co-director of the Center for Economic and Policy Research, a nonprofit, nonpartisan think tank in Washington, D.C. “Today’s billionaires have islands and yachts,” he says. Reality TV and celebrity magazines are ubiquitous, he says. People who share about their fabulous vacation on Facebook are not going to help most Americans feel better. And keeping up with the Joneses is tougher now because of sites like Facebook. In the past, people might have been jealous if their neighbor drove up in a new car, but now they see a constant stream of their friends on seemingly fabulous vacations and at fancy cocktail parties rubbing shoulders with celebrities. “People are much less secure in their lives than they were before the crash,” Baker says. There are no siestas in the U.S.
“Americans are among the hardest working people in the world,” says Mark Hamrick, Washington, D.C. bureau chief with personal finance website Bankrate.com. The U.S. is one of the few countries in the industrialized world that does not require employers to offer paid parental leave. What’s more, Americans only take half of their paid vacation days, recent research by market research firm Harris Interactive and careers website Glassdoor found. The U.S. is one of the few developed countries that doesn’t require employers to provide paid time off. Americans also work 40 hours per week, more than many European countries. In the U.K., for instance, most companies offer workers four to five weeks of paid vacation when they join. Americans eat most of their meals alone, with families finding it harder to square away time to eat together and a dramatic increase in single-person households. The obesity rate increased in five U.S. states over the last year, and is higher in southern states, research published last month found. More than one-quarter of American adults define themselves as obese, according to the Well-Being Index calculated by market research group Gallup and health-care consultancy Healthways. But the real obesity rate is closer to one-third of the population, says Margo G. Wootan, director of nutrition policy at the Washington, D.C.-based non-profit Center for Science in the Public Interest, as many people (intentionally or not) underestimate their own body weight. Too much sugar consumption is also one of the most direct causes of Type 2 diabetes, Wootan says. We would like interested individuals to be aware of a current change to the NETELLER fees structure. The changes have already come into effect. Your continued use of the service will be taken as acceptance of the terms and conditions published by Neteller. Please get in contact with their support team, should you need further information. Hochschild shares (LSE:HOC) have been performing wonderfully since March, 2016. This means that the market is another wonderful opportunity for investors. Whenever there is a pause, a pullback or consolidation in the market, it would mean a good entry point for those who are destined to make money. Price has gone above the upper Trendline since April and it has not gotten back into it. In fact, it is not expected to go back into it. The RSI period 14 has constantly moved around the level 70, meaning that the current bullish momentum is very strong. There would be pullbacks, pauses and consolidation on Hochschild, but buyers would be winners overall. The next targets would be the resistance levels at 400.00, 500.0 and 600.00. Mayair Group stock (LSE:MAYA) is a bear market, which has been running for the past several months. But the current rally seems to be a turning point in the market? Is this sustainable? 4 EMAs are used for the strategy. They are EMAs 10, 20, 50 and 200. The color that stands for each EMA is located at the top left side of the chart. We can see that all the EMAs are sloping downwards, pointing to a weak market, though in the month of August, price has been making attempt to go up. This bullish attempt should be ignored, for it is essentially a rally in the context of a downtrend. The rally is thus seen as an opportunity to sell at higher prices. The only thing that would bring about a bullish signal on Mayair Group is when price crosses the EMA 200 to the upside (a Golden Cross). Then The EMAs 10, 20 and 50 would have started sloping upwards. Right now, the market is bearish and traders should go short. As it was forecasted last week, the GBP/USD went south by 170 pips, to close below the distribution territory at 1.2950. The outlook on the market, as well as other GBP pairs, is bearish this week, and price could test the accumulation territories at 1.2900, 1.2850 and 1.2800. Various means of contacts: You can reach us through WhatsApp, Yahoo! Messenger, Skype, Email and telephone. We are always available through any of these means. If one is not connecting, simply try another. Personalized customer support: We treat each of our customer like an honorable individual, not just like a number. Cheap Neteller rates: Our Buy rates are the cheapest in Nigeria, which means customers save money when they buy Neteller from us. Our Sell rate is also the highest, which means customer makes more money when they buy from us. “You are an honest company…. You made my day.” - Chidi U. “This is my first time using your services and it’s just a trial as I have been scammed by other E- exchangers. I must say I like your speed in crediting your clients account.” – Isaac O. This pair consolidated on Monday and went further upwards on Tuesday. Price moved upwards 130 pips, testing the resistance line at 1.1200, to close above the support line at 1.1150. Bulls might push price further upwards this week; however, there is a possibility of a bearish movement on EURUSD, since EUR could become weak versus other majors, save GBP, which is currently weaker than EUR. The current bullish effort would end once price goes below the support line at 1.1050. There is a “sell” signal on USDCHF, especially in the near-term. There are support levels at 0.9700 and 0.9650, which could be tested this week. Nonetheless, the expected bearish movement on EURUSD might enable USDCHF to stop moving south, and assume a rally that would bring about a Bullish Confirmation Pattern in the market. Without EURUSD getting weak this week, USDCHF would have to continue moving southwards. As it was forecast, this market went further south last week, declining by 170 pips and closing below the distribution territory at 1.2950 on Friday. Just like other GBP pairs (except EURGBP), the outlook on the market is bearish for this week, which means that the accumulation territories at 1.2900, 1.2850 and 1.2800 could be tested this week. The only factor that can reverse the current weakness in the market is an expected or unexpected fundamental factor that proves very favorable to GBP or very unfavorable to USD. According to expectation, this currency trading instrument was able to maintain its bearishness throughout last week, scuttling bulls’ effort to effect a protracted rally. Whenever price rallied, bears would come in to push it downwards again, thereby preserving the current bearish bias on the market. This week, the bearish bias could continue as price goes for the demand levels at 100.50 and 100.00. On the other hand, a possibility of a strong reversal exists, in case JPY gathers strength. The movement on EURJPY was essentially flat last week, though that has not overridden the current downtrend. Price would need to consolidate further for another week or two before the bias can turn neutral, otherwise, we would witness a continuation of the southward movement or a temporary reversal that would threaten the current bearish bias. A bullish reversal may occur, but it would not last very long, because of a bearish outlook on JPY pairs, and because EUR itself is expected to be weak this week. Why Is Trading a Good Money-making Vehicle? It’s a level playing field. Everybody is welcome. You don’t have a boss to control you. You need only a PC and Internet connection. You can make money whether the market goes up or down. The more experience you’ve, the better you become. The starting capital is minimal. You’ve great money management flexibility. You stay in control. You choose when to trade and when not to trade. Profits come naturally when you’re away from your system. You can coach others including your family members. Most members of the public don’t believe they can trade successfully. They’ve been convinced that they can only give their money to professional funds managers to manage, without knowing that they can do this themselves. Your parents don’t have trading secrets to give you. Your school doesn’t have trading secrets to give you. The society don’t have the secrets to give you. While there are pros who can manage your money successfully, it’s true that when you’ve correct trading methodologies and use them faithfully, you can even do better than the so-called pros in terms of percentage returns. Forex trading is a good business, but many people don’t understand it. It’s controversial because the public opinions about it are unfair and warped. Most members of the public understand other types of business, save Forex. There are ways to make small and consistent profits on monthly basis, which become considerable on annual basis. Since most people don’t have experience and others around them don’t have the knowledge, they’re afraid to get in. The reality is; successful traders are just normal people like me and you. There are good trading systems you can use to make money, and those who use these systems aren’t smarter or better than you in any way. The only difference is that those who use good trading systems have the willingness to attain riches through discipline. Conclusion: Trading is different from investing. 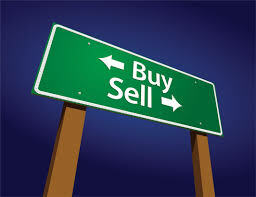 As a trader, you buy and sell within days or weeks, but an investor may hold a position for months or years. The greatest market speculators are faithful to strategies that give them an edge. They stick to those strategies when they work and when they don’t work. I pray that your fortitude will not be shaken in trying times. Your true trading potential lies beyond your innate gifts. Sell Gulf Keystone Down to 0.50!